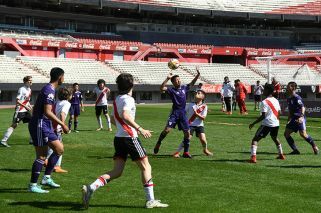 Thai junior football team – who were rescued after being trapped in a cave for more than two weeks – play game at River Plate's famous Monumental stadium. 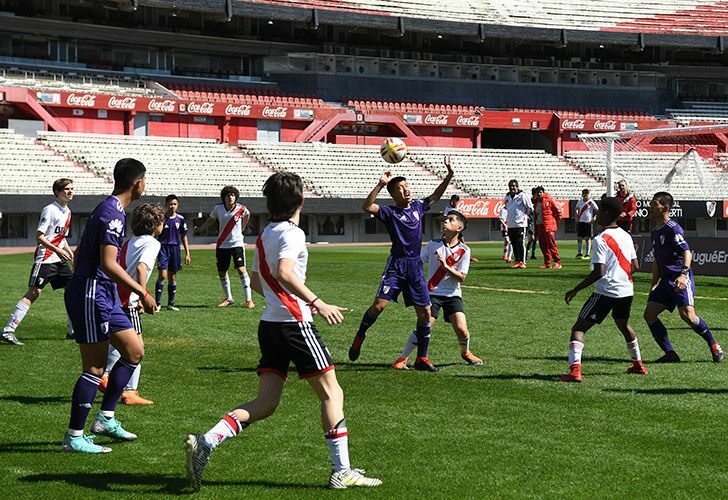 The players of the Thai junior football team who were rescued after being trapped in a cave for more than two weeks were invited to the Youth Olympics in Buenos Aires – and today, they played at River Plate's famous Monumental stadium. The Wild Boars team, aged between 11 and 16, arrived in the city on Friday and attended the opening ceremony of the Games the following day at the Obelisk, before playing for an hour with the youth team of the Millo this afternoon. The Thai youngsters, accompanied by the coach who took them on their trip to the Thuam Luang cave complex on June 23, were given a guard of honour by their Argentine counterparts as they took to the pitch. "It's really a spectacular moment because these boys have lived really terrible moments," said River Plate President Rodolfo D'Onofrio. "This is the power of football and sport, we can make the people more happy." The plight of the Thai boys attracted global media coverage and an international rescue effort as they remained trapped in the caves until July 10, and claimed the life of a rescue diver, former Thai Navy SEAL Saman Kuman. "The kids are very happy to be here, very excited," said the head of the Thai delegation Werachon Sukondhapatipak. "During the rescue operation many people from around the world came to Thailand to collaborate in order to save them ... They feel they owe everyone around the world."